Amorolfine is a prescription medication for fungal nail infections. It is a medicated lacquer which is applied to the nail to attack the infection. Fungal nail infections are caused by an overproduction of the fungi that can live naturally in your skin. This would usually be harmless but in the right environment this fungi can thrive and multiply causing infections of the nail. Toenails are usually affected more as this fungi thrives in warm, dark and moist areas like the feet. Fungal nail infections can cause unpleasant symptoms such as discolouration of the nail, thickened and brittle nails, pain and discomfort when walking, and the infection may eventually cause the nail to lift off from the nail bed completely if left untreated. Treatments such as amorolfine nail lacquer can fight the infection and help restore the nail back to a healthy condition. Amorolfine hydrochloride is the active ingredient in this treatments and belongs to a group of medicines known as antifungals. Have you been diagnosed, by a GP or specialist, with fungal nail infection? Have you used Amorolfine before? 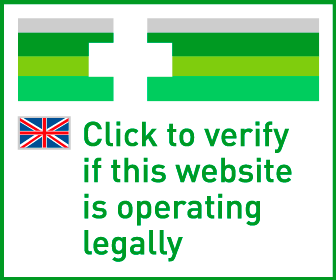 Have you had a blood test in the last 6 months to test the functionality of your liver? Amorolfine works by stopping the fungal cells from producing ergosterol, a protein that is vital for the survival of the fungi. This causes holes in the fungal cells so that the contents leak out and the cell cannot survive, therefore killing the infection. Amorolfine is available in the form of a nail lacquer and is painted on like a nail varnish but is resistant to soap and water, and to chipping so that the medicine can penetrate through the nail to attack the infection. Who is amorolfine suitable for? 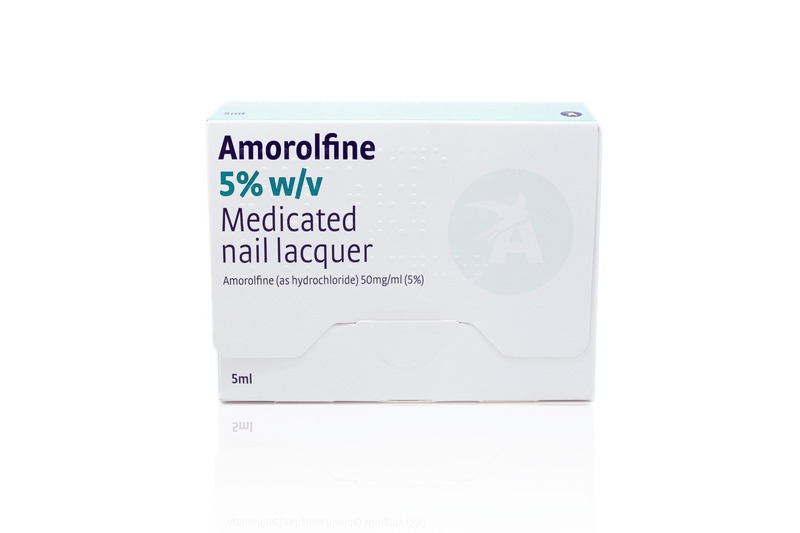 Amorolfine is suitable for adults who have a diagnosed fungal infection and are experiencing pain and discomfort from the infection or are concerned about the appearance of the nail. It is also a suitable treatment for those who are at risk of complications from a fungal nail infection. Diabetics are at risk of major complications as a result of minor foot problems or injuries and should treat fungal nail infections with antifungal treatment straight away to avoid serious complications. What should I be aware of before taking amorolfine? There are a number of precautions you should take before using this medicine, some of which you should discuss with a doctor or pharmacist. If you’re taking any other medication or have an existing health condition which may interfere with this treatment, speak to you doctor. You should also speak to your doctor prior to using this medicine if you’re pregnant, planning to become pregnant, or are breastfeeding. Do not use if you are allergic to amorolfine or any other ingredient in this medicine. If you have difficulty breathing, a swollen face, lips, tongue or throat, or a rash, seek medical help immediately as these are signs of an allergic reaction to the medicine. Ensure that the lacquer does not come into with your eyes, mouth, ears, and nose, or the skin around the nail. Do not inhale the solution. Are there any side effects of amorolfine? All medicines have some side effects but not everyone will experience them and some are more rare than others. If you experience any of the following side effects you should stop using the medine and consult your GP for advice on alternative treatments for fungal nail infections. You may experience other side effects which are not listed above or on the patient information leaflet, but if you experience any changes in your health while using this medicine, discontinue use and consult a doctor. Is amorolfine effective at treating fungal nail infections? Fungal nail infections are notoriously difficult to treat. Amorolfine can effectively kill the fungi and clear the infection if used correctly and consistently. Fungal nail infections take a long time to clear and you may have to apply this treatment for months, it can take around 6 months for fingernails and around 9-12 months for toenails. During this time your doctor will check the progress of healing throughout treatment. Amorolfine nail lacquer is simple to use and is applied just like a nail polish but you should be extra hygienic when it comes to using this medicine to avoid spreading the infection to other nails. The varnish is applied directly to the infected nail once or twice a week as directed by your doctor. Before using the medicine file down the affected area and clean the the entire nail thoroughly. Using the spatula provided apply the varnish to the entire nail and remember to clean the spatula after each use. The nail should then be left to dry for around 3 minutes. You can use nail polish to improve the appearance but ensure that amorolfine lacquer is completely dry and wait 10 minutes before applying nail polish. If you’ve been diagnosed with a fungal nail infection it’s important to start treatment straight away and not delay the process any longer. Buying your antifungal treatment online at Doctor-4-U is quick and easy, and you could receive amorolfine tomorrow so you can begin treatment as quickly as possible. To order your prescription medication fill out an online medical questionnaire which will be reviewed by our doctors who are registered by the General Medical Council, and once you have been approved to use this medicine it will be dispensed by our UK-based pharmacy and delivered to you via a tracked courier service.